When people talk about Holy Week, the days that come to most people’s minds is Good Friday, Palm Sunday and Easter Sunday. However, Catholics should be aware that it comprises of more days than that. This day, Maundy Thursday, is an excellent example. Sadly, not many Catholics around the world are really aware of the importance Maundy Thursday. 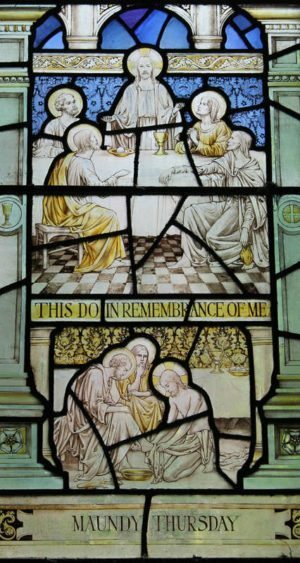 But to put in in a historical perspective, Maundy Thursday commemorates two of the most vital parts of Church Tradition: The institution of both the priesthood and the Eucharist. This is further emphasized that they are celebrated in not just a single Mass but two! This mass requires the participation of the entire diocese. Here, all ordained clergy are called to attend with their respective bishop and renew their ordination vows. One can also renew their baptismal vows alongside them. The Mass also involves a ceremonial washing of the feet, with the bishop himself washing the feet of twelve chosen priests. These are the same oils used in all the other sacraments such as Baptism, Confirmation and the Anointing of the Sick. 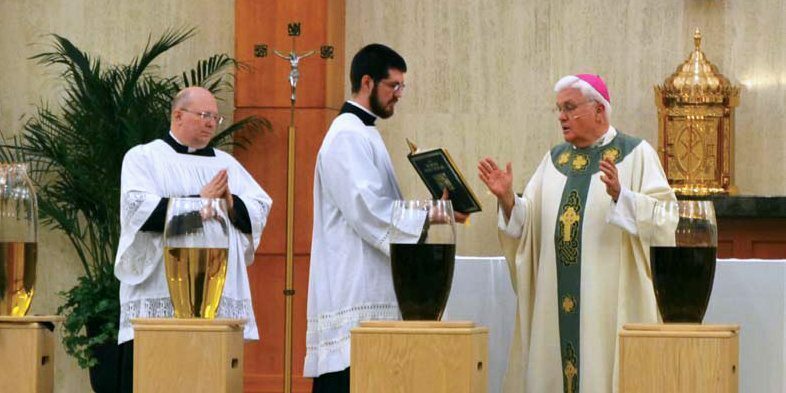 It is traditionally held that the oils are intended for an entire year and are indeed transported back by priests to their respective parishes. Indeed, it is a very special service for the men who have decided to heed the call of the priestly vocation. It shares a very special connection to the sacred tasks of administering the sacraments and also the emphasizes the closeness of the Son to our priests and bishops. Lastly, it also highlights the Church’s unity and the importance of obedience. Each parish adheres to the authority of the diocese, just as each priest is subject to the authority of the bishop (while everyone is ultimately subject to the authority of God). If you are considering the vocation yourself or even just want to pray for our priests, attending the Chrism Mass on Holy Thursday should be a very special occasion. The second Mass of Holy Thursday is recognizable to most Catholics as the one where the tabernacle is empty and altars are stripped bare to indicate what is to come on Good Friday and Black Saturday. Like the Chrism Mass before it, there is also a washing of the feet but this time laypeople and Mass attendees can be selected for it. In this Mass, attendees are also reminded about how the washing of feet is an important representation of not just how priests and religious should treat people, but how all Christians should treat their fellow human beings. Towards the end of this Mass, the Eucharist is then carried over to the special altar of repose where devotees can continue in Eucharistic Adoration. The conclusion of this Mass also serves as the official start of the Easter Triduum, the holiest days of our liturgical calendar. 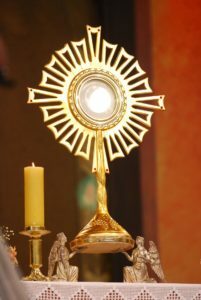 One way to make the most out of Eucharistic Adoration, especially during this sacred time of the year, is to reflect on the reality of the Real Presence. Jesus instituted the Eucharist as a way for the Church to always celebrate the message of salvation. The bread and wine become the body and blood to serve as the sacrifice for all the sins of the world. This literal belief in the Real Presence is what distinguishes the Catholic faith from all the other Christian denominations. The Mass of the Lord’s Supper is truly a momentous occasion to revere this truth. Without a doubt, both the priesthood and the Eucharist hold tremendous importance for the Church. The institution of both as we transition to the observance of the Easter Triduum is why Holy Thursday is a day of great, apostolic importance. Hence, it is not simply that ‘one Thursday before Good Friday’. You should take it as an ideal opportunity to fully immerse yourself in Lenten reflections and other practices! In this year’s Lenten message, our Holy Father, Pope Francis bemoaned of how the rapid spread of today’s iniquities are because a lot of “the love that is the core of the Gospel” has gone cold because we have neglected the remedies of prayer, almsgiving and fasting. Do you think your heart has gone cold as well? 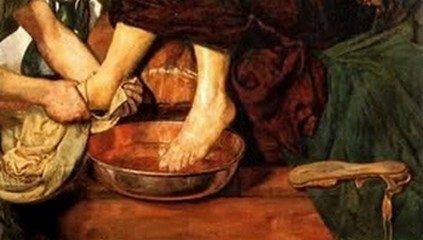 Recall the example of Jesus washing the feet of His apostles and what it means to live a Christian life of servanthood! Holy Thursday is the best time to finally thaw out that coldness and remember what it means to be a Christian!